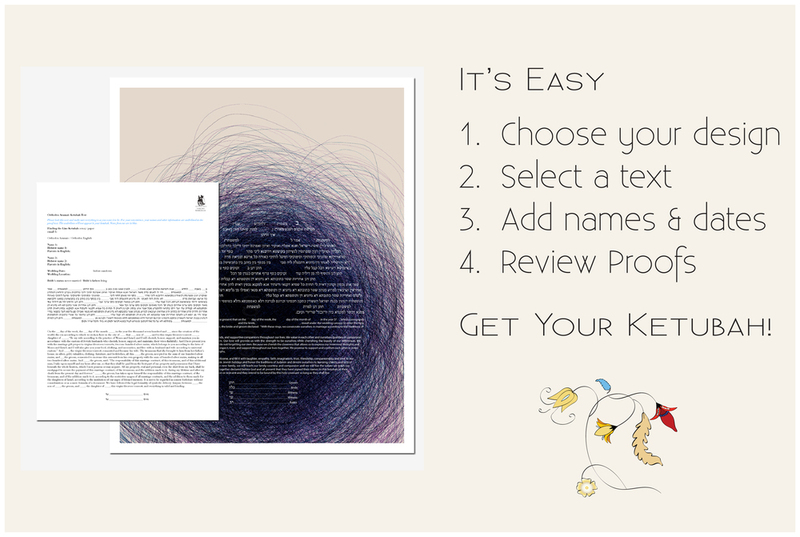 KETUBAH DESIGNS WITH A FORMAL BORDER, SURROUNDING YOUR CHOICE OF TEXTS. KETUBAH DESIGNS INSPIRED BY MODERN ART - YOUR CHOICE OF TEXTS ARE A COMPOSITION ELEMENT IN THE ART. For religious purposes, those having a Jewish wedding record the Hebrew date rather than the secular date. To determine your Hebrew wedding date, I collect your secular wedding date and go to the HebCal Date Converter . It reliably provides the corresponding date. Don't we have something like 4 New Years? How can you even tell what year it is?! "But what if it's their one chance to be married to the person they love - the one person they will love in their whole life?" Jude, age 6, on hearing that some people don't approve of interfaith marriage.